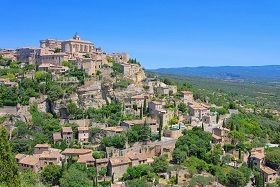 Your day begins with Les Baux de Provence, a perched village on a 245m high rocky spur. From here, enjoy the splendid view on the Regional Nature Park of the Alpilles, stroll along the cobblestone streets and admire the Renaissance-styled private mansions and the imposing medieval castle which still stands reigning at the top of the village. 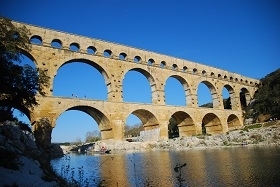 You will continue to Pont du Gard – since 1985, it has been listed under UNESCO World Heritage Site. You will be left speechless by this 1st century A.D. Roman edifice; one of the largest and the best preserved aqueduct of the Roman era. A feat of an amazing technology and architectural masterwork that for centuries, has provided water supply to the Roman colony Nemausus. 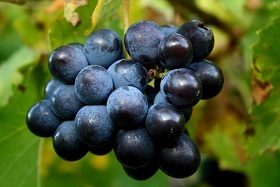 How nice to finish your tour by a visit to a winery in Châteauneuf du Pape, whereby you will taste some whites and reds of this reputable Côtes du Rhône label. on Sundays in l'Isle sur la Sorgue, also name as the The Venice of Provence and the capital of antique dealers and flea markets. 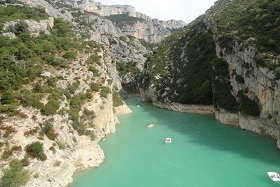 In Fontaine de Vaucluse, walk up to the cave where the impressive river Sorgues emerges. This resurgence spring hasn't revealed its secrets yet and many scientists have searched in vain the exact depth of the well. 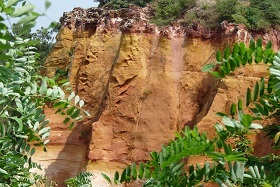 In Roussillon, you will be in awe with this charming colorful village which houses are painted with ochre, once the biggest exporter of this natural pigment in the world. Along the way, catch a glimpse of Pont Julien, a roman built bridge dating back to the 1st B.C. Drive through Bonnieux for a photo stop. To end the day, you will travel through the winding Combe de Lourmarin which separates the Petit and Grand Luberon to reach the village of Lourmarin and its 15th century castle (free time). 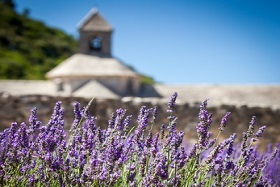 From mid-June to mid-July only, you will admire the beautiful lavender blossom at the 12th century Cistercian Senanque Abbey. 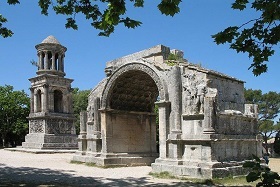 Saint-Rémy de Provence : Nestled at the foot of the Alpilles, it's Nostradamus's natal town. Vincent Van Gogh had spent his last year of his life between 1889 -1890 in a confinement at Saint-Paul de Mausole asylum whereby he produced some of his most famous paintings. 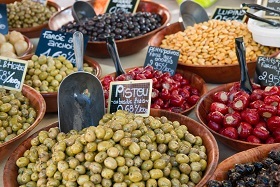 Stroll in the traditional provençal market on Wednesdays. Photo stop at Les Antiques (The Triumphal Arch and the Mausoleum) 2 roman monuments that date back from the 1st century B.C. 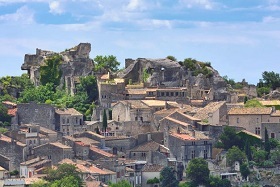 You will continue to Les Baux de Provence, a perched village on a 245m high rocky spur. From here, enjoy the splendid view on the Regional Nature Park of the Alpilles, stroll along the cobblestone streets and admire the Renaissance-styled private mansions and the imposing castle of which the Lords of Les Baux were the most powerful family of medieval Provence. From March to December, you will have the possibility to attend the light and sound show about Van Gogh and the Starry NIght in the Carrières de Lumière (entrance fee not included) instead of visiting the village. 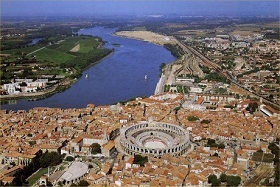 Arles, once the capital of the roman empire in Provence. 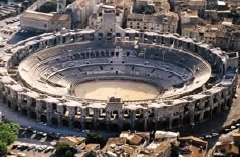 Amphitheatre, Constantin Thermal Baths, Cryptoporticus are just some of the numerous roman monuments that can be visited not forgetting the 12th century cloister of Saint Trophime. Stroll in the traditional provençal market on Saturdays. Vincent Van Gogh arriving in Arles in 1889 was enchanted by the local landscape and light that has inspired his most famous paintings. 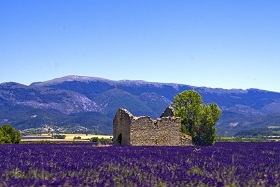 A nice scenic drive to the foot of the Saint-Victoire mountain which have been a source of inspiration for Paul Cezanne, a native of Aix-en-Provence. 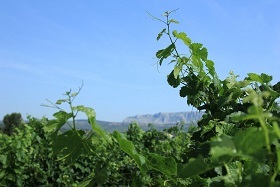 Visit two wineries and delight yourself with the rosés and reds of the Côtes de Provence Sainte-Victoire's label wine. 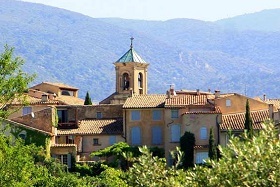 In the afternoon, you will continue with your adventure to some of the 'Most Beautiful Villages in France' situated in the Regional Natural Park of the Luberon by travelling through the winding Combe de Lourmarin which separates the Petit and Grand Luberon to reach the village of Lourmarin for a free time. 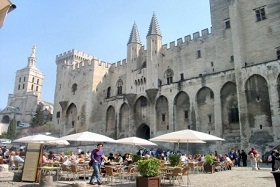 This place is famous for its 15th century castle. 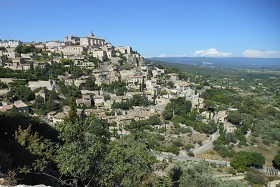 Gordes : A picturesque hill-top dry stone-built village with its Renaissance-styled Castle. It was the film location of Ridley Scott's 'A Good Year'. 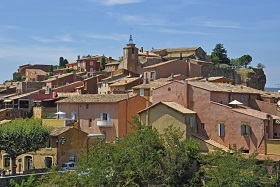 Roussillon : You will be in awe with this charming colorful village which houses are painted with ochre, once the biggest exporter of this natural pigment in the world. 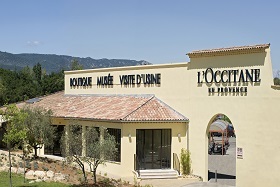 Your tour commences with a guided tour in the factory of L'Occitane created in 1976 in Manosque and world-widely known for its cosmetic products made from locally grown flowers and plants. 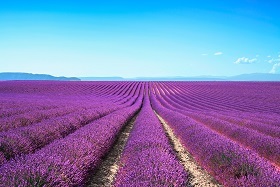 You will continue across the Plateau of Valensole, whereby oceans of lavender blossom greets you if you are here in June and July. Where not a better place to lunch other than Moustiers Sainte-Marie; situated at the west entrance to the Gorges of Verdon. A charming village well-known for its pottery especially 'faience' for centuries. You may appreciate its work by browsing in the different workshops. Prepare yourself for this spectacular, breathtaking view on the Gorges of Verdon, considered as one of the most beautiful canyon in Europe. Free time to sunbathe by the turquoise coloured Lake of Sainte-Croix. 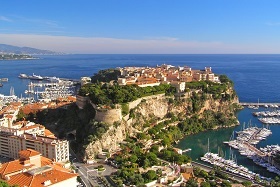 Spend the day at the Principality of Monaco, ruled by the House of the Grimaldi since the 13th century. Attend the Changing of the Guards Ceremony at the Prince's Palace. 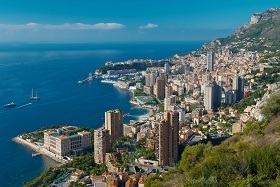 Admire the panoramic seaviews from the high rocks and drive along the Grand Prix race track to the Monte Carlo Casino. 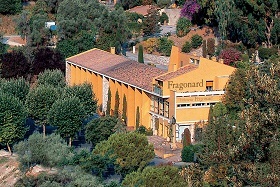 Next stop, the hill perched village of Eze whereby you will visit one of the most famous perfumeries of France: Fragonard (entrance fee included). 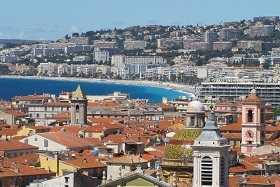 You will end the day by a panoramic tour of Nice, the most visited French Rivieria destination. Enjoy some free time in the historical center, from the Promenade des Anglais along the Bay of Angels, until the Cours Saleya and the Cathedral Sainte-Reparate. For this excursion, you are required to bring along your identity papers.